Peru has been on my mind lately – a friend of mine asked me to join her on a trip to Peru in September, and had I not already committed to another trip, I would’ve jumped at the chance of joining her. My last trip to Peru ended abruptly, and I have been itching to return ever since I left Cuzco two and a half years ago. After finishing the 5-day Salkantay trek through the Andes to get to Machu Picchu, I’ve been keen on doing some other multi-day treks in Peru: the Cordillera Blanca mountain range around Huarez in the north of the country is supposed to be stunning, and I have no doubt that I’ll love Colca Canyon near Arequipa in the south. And then there is the mystical oasis town of Huacachina in the midst of mighty sand dunes, the Islas Ballestas which are a wildlife lover’s dream, but I’d also love to return to Cuzco to see more of the Inca ruins around there (Machu Picchu is just one of many more) and to delve more in the city’s amazing food scene, and then there’s Lima, where people also rave about the fantastic restaurant scene and trendy neighborhoods like San Isidro, Barranco or Miraflores. Peru’s breathtakingly beautiful and diverse landscapes have gotten a lot of praise from travel publications and travelers for a long time now, but it is Peruvian food whose popularity has increased notably over the past few years – which is why I am excited to share the giveaway below, for a culinary trip to Peru (click here to enter if you can’t wait). And he was right: Peruvian food is being gobbled up all over the globe, but of course it never tastes as amazing as it tastes in the country itself, with locally sourced fresh ingredients. I’ve already touched on the fabulous food scene in Cuzco when I told you why Cuzco is worth a trip, and the restaurant scene in Lima is booming even more. New restaurants are opening constantly, and not just your ordinary type of restaurants, but sophisticated eateries that pride themselves in serving avant-garde dishes that leave diners impressed and longing for more. Lima’s most popular restaurant, Central, is regularly voted in the World’s Top 50 restaurants and a must-visit for any foodie, Gaston Acurio’s Astrid y Gaston was recently voted the best restaurant in all of South America (! ), dessert lovers will be blown away at Malabar while Maras inside Lima’s brand new Westin Hotel will satisfy fine dining aficionados. La Rosa Nautica is a Lima institution for Pisco Sours right by the ocean, and speaking of Pisco Sours: make sure to have them daily while you’re in Peru! 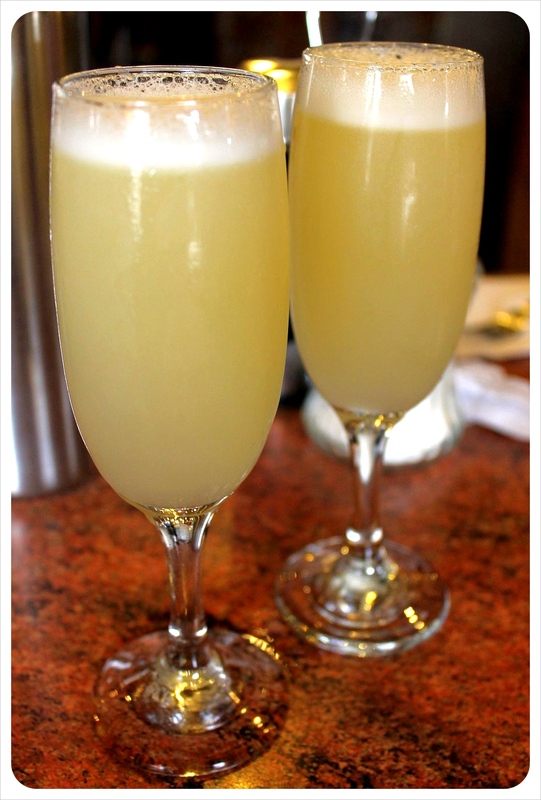 This typical Peruvian cocktail is made of Pisco, a type of Brandy and Peru’s national drink, and sugar, egg whites, key lime juice. So what makes Peruvian food so special, you ask? Thanks to Peru’s multicultural heritage, it is the perfect example for fusion cuisine: it combines pre-Inca and Inca influences with the cuisine of European, Asian and West-African immigrants who all brought their local dishes to Peru where they tried to recreate them with the ingredients they found in Peru. The country itself has an incredibly diverse range of foods – ranging from seafood heavy dishes on the coast to fruit-loaded plates in the Amazon and the Andes with potatoes, quinoa, corn and other crops. The different cuisines started to melt into each other and enrich one another, creating a unique and unrivaled culinary experience. On a trip to Peru, you’ll discover that each region has its own regional dishes, only few dishes are typical for the entire country. Culinary treasures you shouldn’t miss are alpaca steak, anticuchos (beef heart kebabs), cuy (guinea pig), lomo saltado (beef tips that are stir fried with onion, tomatoes and spices), and aji de gallina (chicken in a yellow pepper sauce with hard-boiled eggs and olives). Vegetarians will love the tasty sauce of Papas a la huancaina (potatoes in a creamy cheese sauce, a dish I could have eaten happily every day while I was in Peru!) and papa rellena – stuffed potatoes with vegetables, hard-boiled egg, spices and olives (also available with meat). 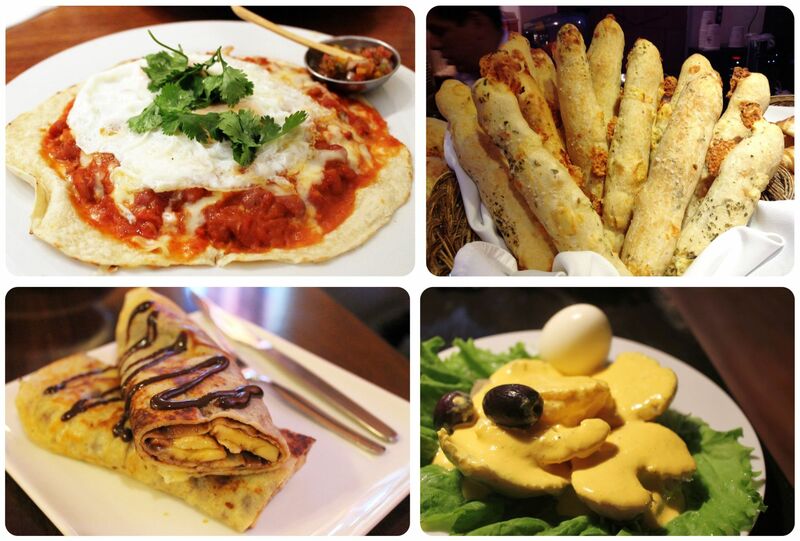 I don’t know about you, but my mouth is watering right now – can you see why I am contemplating a return trip to Peru? And because Peruvian cuisine is so popular right now, I am excited about this LATAM sweepstakes, which will bring two lucky people on a 9-day culinary-focused trip to Peru, allowing them to discover Peru’s foodie scene from Lima, the Culinary Capital of South America to the magical, spiritual town of Cusco. This promotion is brought to you by Promperu in cooperation with LATAM Airlines, Intrepid Travel, Toad&Co, Campo de Encanto Pisco, AFAR, TourRadar and Away Travel. Because most people have only Machu Picchu on their bucket list they don’t pay too much attention to Cuzco, but let me tell you: Cuzco is actually a gem of a city, with beautiful architecture, an impressive cathedral, a gorgeous Plaza De Armas, fantastic shopping for local handicraft and woolen textiles (there are several markets around town that sell everything from blankets to pottery) and a number of festivals throughout the year. Plus, it is located in a stunning setting, nestled in the Andes Mountains. I never got tired wandering the streets of Cuzco, marveling at the ornate wooden balconies, getting lost in the streets and stumbling across little plazas and charming churches. You might be lucky to catch local dance groups in their traditional dresses while you’re there. 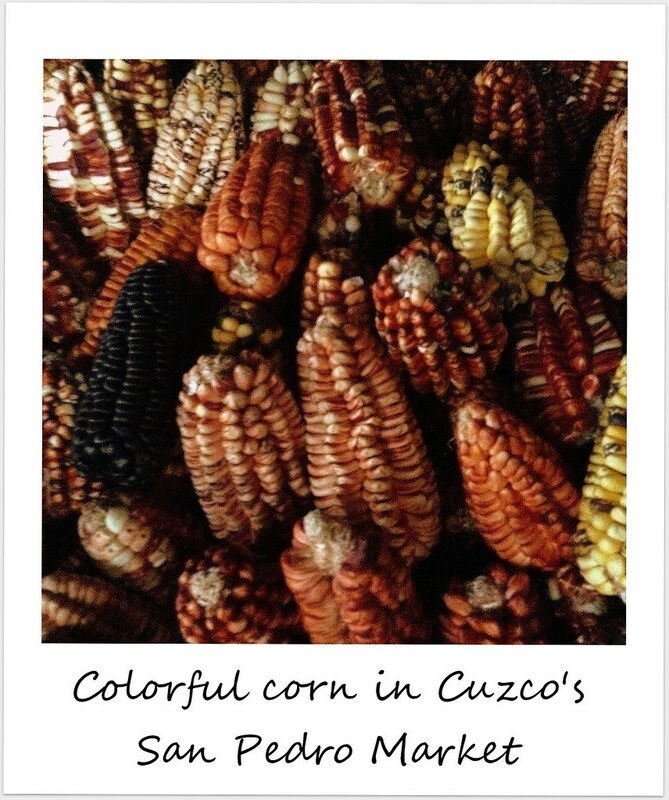 Cuzco is without a doubt one of the culinary hot spots in all of Peru und I highly recommend indulging in a few tasty meals in one of Cuzco’s many outstanding restaurants. You can sample both local but also international cuisine here, and if you’ve been traveling around South America for a while, you will appreciate a Mexican breakfast, sushi or French bakery treats. If you’re looking to try Peruvian food, don’t leave without eating cuy (guinea pig), an alpaca steak, lomo saltado (beef tips stir-fried with spices, tomatoes, onion and spices, served with french fries and rice), aji de gallina (chicken in a yellow pepper sauce with olives and hard-boiled eggs), or papa rellena (stuffed potato with vegetables or beef, olives, hard-boiled egg and spices). A personal favorite of mine were papas a la huancaina (Peruvian potatoes in a creamy cheese sauce), and I am still dreaming of the tasty Pisco Sours I had in Cuzco. Eateries I recommend are: Cicciolinia’s (amazing baked goods), Nuna Raymi (for traditional Peruvian food), Limo (fancy, but worth the splurge! Try the sushi and of course a Pisco Sour), Pachapapa (for cuy), Chicha (for some of the best food in all of Peru – make sure to book well in advance and don’t forget your credit card). Another great spot for a fancy occasion is the Map Café. 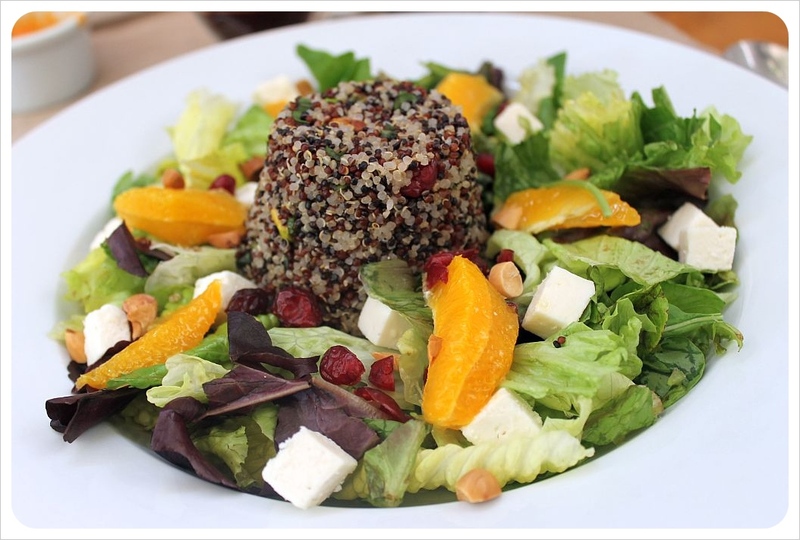 For amazing organic food, head to Greens; for the best vegan food in town don’t miss Green Point. Incanto has the best Italian food (both pizza and pasta, with a Peruvian twist); Uchu Peruvian Steakhouse serves excellent steaks, and Le Soleil won the Traveler’s Choice Award for Cuzco’s best restaurant in 2014. 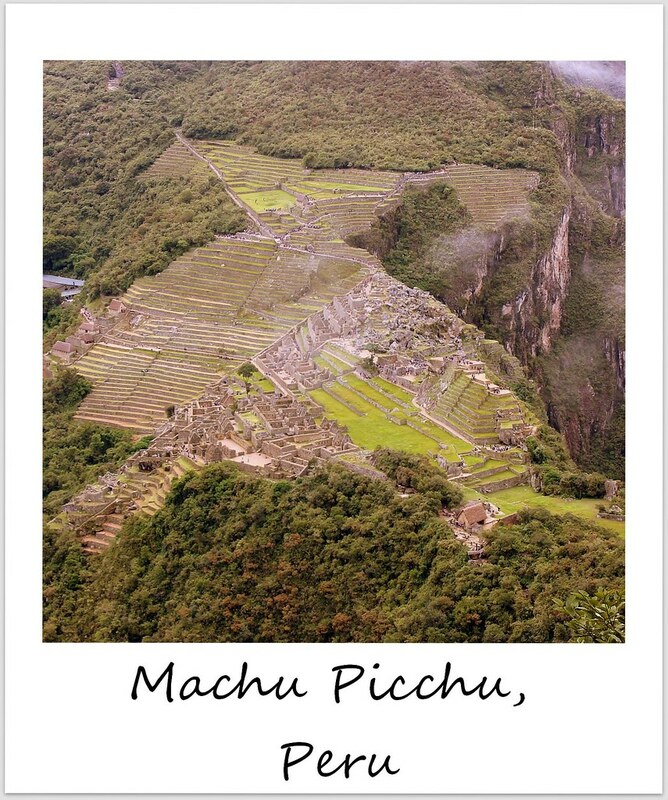 Yes, we all know about Machu Picchu, the world famous Inca city high up in the Andes Mountains that attracts 1.2 million visitors every year. But did you know that there are TEN other Inca sites in the close vicinity of Cuzco (all doable as a day trip), all of which are well worth a visit? 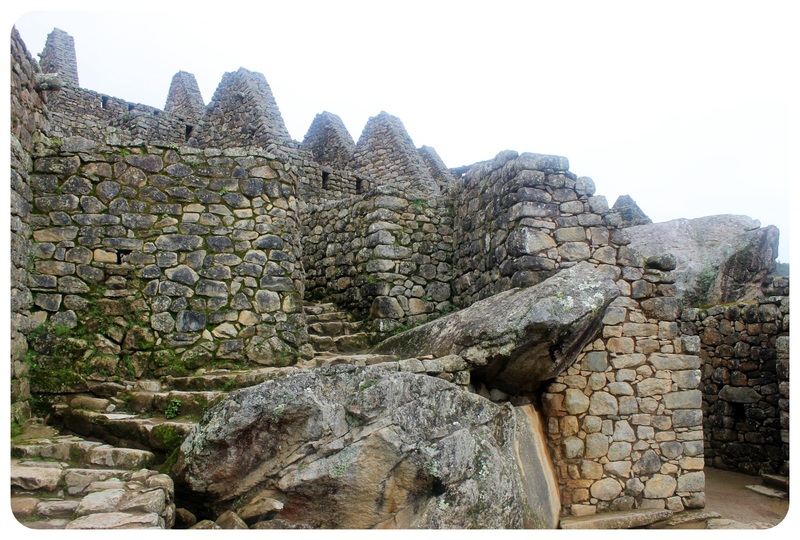 Some of the most spectacular ones include: Choquequirao (often referred to as Machu Picchu’s sister city because of how similar they look), Pisac, Moray (with its famous landscaping of co-centric circles), Ollantaytambo, Sacsayhuaman, Q’enqo, Puca Pucara, Huchuy Cusco, Tipon (for the agricultural terraces), the Maras Salineras (salt pans for salt production) and the Templo de la Luna. 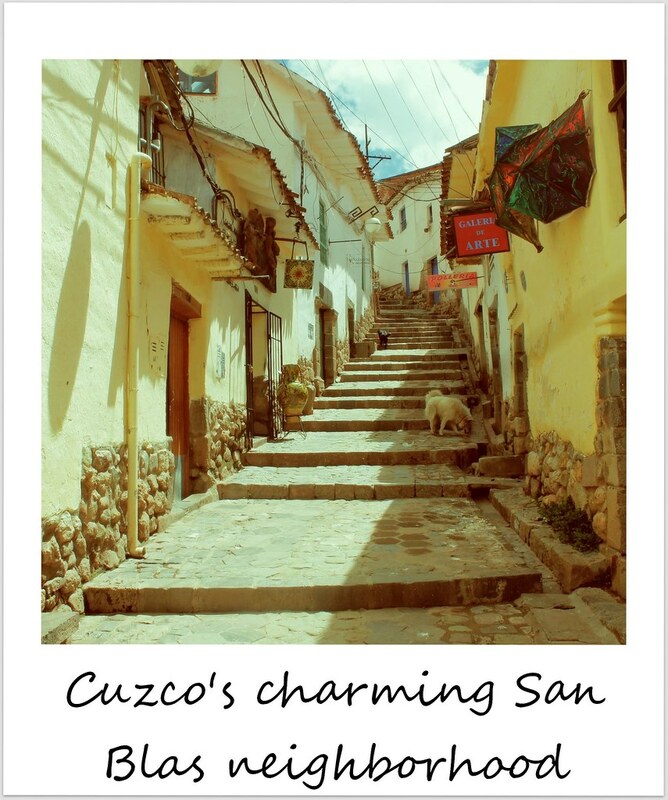 San Blas is a neighborhood in Cuzco, and yes, you should visit the city for this neighborhood alone – I fell head over heels in love with it when I visited Peru and insisted on staying in a guesthouse there, and not in any other part of town. It is without a doubt the most picturesque neighborhood of Cuzco, perched on a hillside, with narrow, steep cobblestone streets. Nearly all of the buildings here are white, adorned with colorful doors and wooden balconies. The higher you climb, the better the views over Cuzco’s red tiled roofs, and you’ll find several cafes with rooftop terraces here. There are also little shops, restaurants and bars in this neighborhood – San Blas is so adorable that you’ll spend hours here taking photos – wait till you get there and you’ll see what I mean! You don’t even have to do the Inca Trail to do a spectacular trek – there are many other treks around Cuzco that are worth the challenge of high altitude hiking (most treks are above 15,000 feet). If you love trekking, Cuzco is a great base to go on one or several multi-day hikes. Almost all treks end in Machu Picchu, even though the ways to get there are as plentiful as they are diverse: you can take the Lares Route through the Lares Valley (3 – 4 days), take the Chasci Trail, you can even opt for an easy 1-day trek to Machu Picchu. If you are looking for even more of a challenge, I recommend the Vilcabamba Traverse Route, which takes between 7 and 13 days. Check out National Geographic’s Top Six Alternative Treks To Machu Picchu for more trails. When I visited Cuzco, I opted for the Salkantay Trek, one of the more challenging treks around Cuzco (possibly even the most difficult way to get to Machu Picchu?) 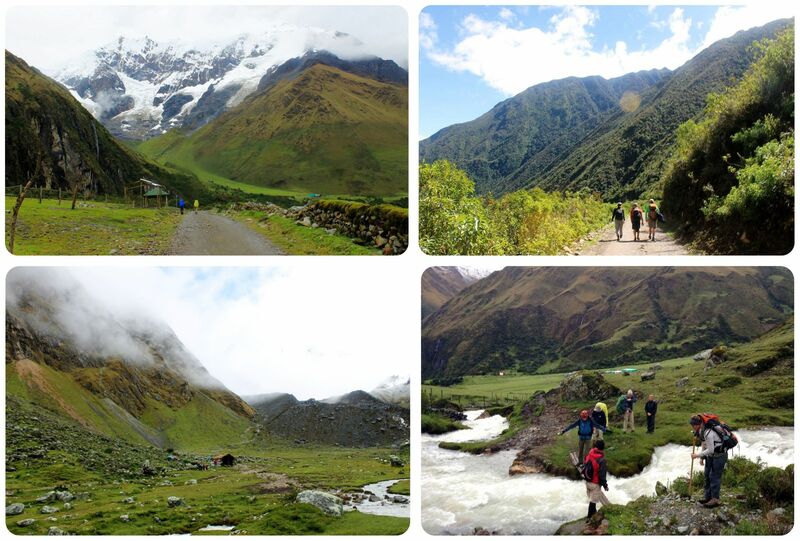 and the rewards in form of spectacular scenery, including the magnificent sacred Salkantay Mountain (20,500 feet high! ), were more than worth the blisters. Tip: If you’re planning to hike to Machu Picchu but can’t get a spot on the Inca Trail, which is often booked out months in advance, consider one of the alternative treks, which are often half the price. 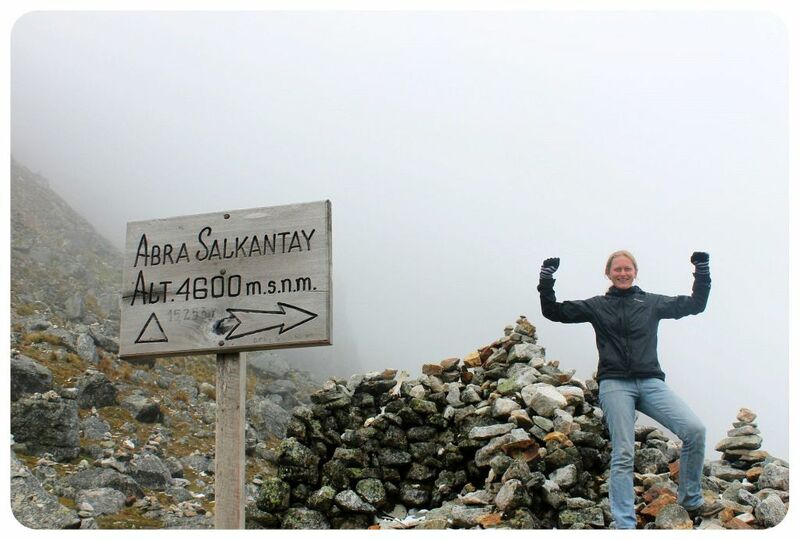 The 5-day Salkantay trek for example cost me less than $250, whereas the 4-day Inca Trail starts at around $600. Have you been to Cuzco? 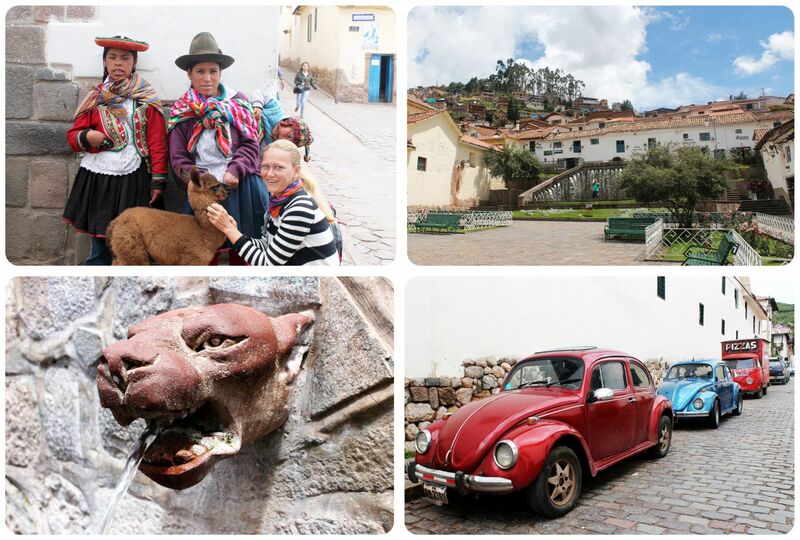 If you can add another reason why Cuzco is worth a trip, feel free to share it in the comments below! Yes, laptops get altitude sickness, too! We learned this the hard way, when my brand new Acer Aspire all of a sudden started to act up in Potosí, Bolivia at 4,050m/13,500ft, only five weeks into our South America trip and six week after I had bought it. It began slowly: First, the laptop would freeze but ‘come back to life’, then it would freeze until I couldn’t do anything but turn it off, and eventually it would just shut off completely without any warning. I freaked out, knowing that it was nearly impossible to repair or replace a laptop in Bolivia, and not sure if I’d be able to return the laptop to the U.S. from here while it was still under warranty. I also had laptop envy – Jess’ MacBook Air continued to work without a glitch… until a few days later, when it started to show the same symptoms. Much more proactive than me when it comes to laptop issues, Jess googled the symptoms right away and found out that our laptops were suffering from altitude sickness. We didn’t even know that this was a thing (for electronics), or that laptops had a maximum operating altitude! Now, for most people this will never be an issue, since only few places in the world are actually that high up. La Paz, nestled in a valley atop the Bolivian plateau at 4,058m / 13,313ft, surrounded by snowy peaks. In the background: the white head of Illimani, the sacred mountain. In fact, Sucre at 2,810m / 9,220ft would be the only town we’d visit where we would be able to run our laptops without the fear of ruining them. Altitude sickness in laptops does not only mean that they randomly freeze or shut down without any warning, but the altitude can ruin the entire hard drive. This affects mainly laptops with a hard disk drive, where the reading head rides on an air cushion just a fraction of a millimeter above the spinning disc. When the air pressure gets lower, as it does at high altitude, the reading head gets too close to the disc – and if it slams into it, it results in a hard drive crash and loss of all the data on the disc. Laptops with a solid static drive (Apple laptops, for example), a hard drive without any moving parts, are much safer to use in this altitude because they can’t crash the way hard disk drives can crash. However, the problems caused by altitude still arise and won’t be covered by warranty due to Apple’s maximum operating altitude warning. The ordinary backpacker will probably not care much about this issue, since you’d only be using your laptop to book some hostels, look up information on your next destination or send some emails home, which are all things you can keep to a minimum while you’re traveling at that altitude. As digital nomads who run an online business this was a serious problem for us though. We travel at a much slower pace than most people, meaning we spend much more time in places, including the ‘laptop danger zone’, and we also use our laptops much more often, with entire 12-hour work days spent typing away on our laptops. Well-meant advice for this situation like ‘keep your laptop shut off while you’re in La Paz’ wasn’t really helping us. In the end, all we could do was trying to minimize the time spent on our laptops. This wasn’t particularly beneficial for our business, but since the wi-fi in Bolivia was painfully slow in most places, we wasted a lot of time waiting for websites to load anyway. Whenever we did work on our laptops, we opened only one program at a time instead of running several programs simultaneously. Whatever we worked on would be backed up on a USB stick or an external hard drive right away to make sure we would not lose anything should one of our hard drives crash. After leaving the high altitude of the Andes Mountains, my laptop kept acting up – my Acer has definitely suffered. Had we known about ‘laptop altitude sickness’ before traveling above 10,000ft, we would probably have prepared better – but I wouldn’t recommend spending an extended time in this area while trying to run a business and using your laptop more than an hour per day. Not fully recovered, but it’s still working! Back up your data before reaching the maximum operating altitude of your laptop. Should your hard drive crash, you will at least have saved all your data. Flash drives are not affected by the altitude since they don’t contain any moving parts. Power down your laptop entirely when you don’t use it, don’t just put it in ‘sleep’ or ‘hibernate’ mode. This goes especially for travel days. Don’t overstress your laptop when you turn it on. This means: as few tabs as possible in your browser, only one or two programs at once and no programs that keep updating / refreshing automatically (back-up programs, email programs). High altitude usually comes with cold weather, which also puts a burden on the battery of your devices (iPods, cameras, laptops, etc). Keep your electronics as warm as possible to extend their battery life. Does this apply to planes, too? You’re save to use your electronics at 30,000ft since the airplane cabins are pressurized above 10,000 ft, making it safe to use your device during a flight. 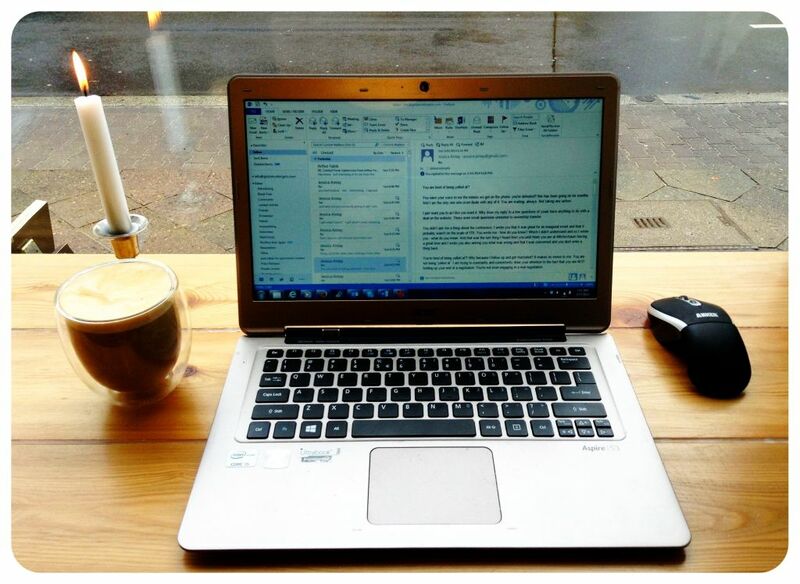 Have you been to a region that high and experienced ‘laptop altitude sickness’ there? Please share in the comments below! 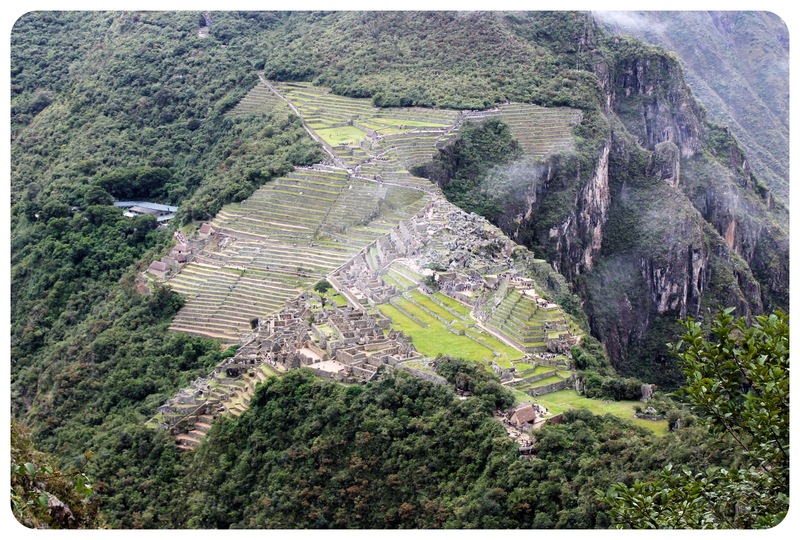 The hike to Machu Picchu went off without a hitch and was one of the most exhilarating adventures of all our travels. Two days later, I was brought back down to Earth when I rolled my ankle and heard it snap. I’d like to say I was chasing down thieves or saving someone from being hit by a car, but in a classically anti-superhero way, I simply stepped down into the hostel, somehow made a misstep and rolled my ankle in such a way that it snapped. 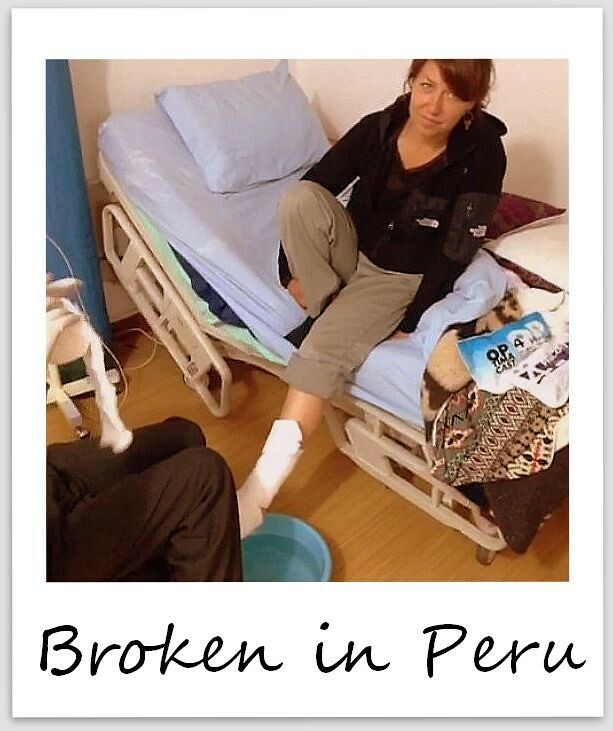 What made this so disheartening for us both was that we had only just recovered from that debilitating three-week stomach bug in Bolivia and were really looking forward to getting back into the swing of traveling. We still had hopes that it was just a twist or sprain, because initially it didn’t swell too dramatically. But the X-Ray came back showing a clear, complete fracture. A few hours later I was getting this cast put on my leg for six weeks. Now I have entered the Polar Vortex that is Chicago to recover in a safe, easy environment and Dani has returned to Germany to spend some much needed time with her sister and brand new baby nephew. When people first start traveling, it is easy to be intimidated by local markets, but the more you travel, the more often the central market of a city is one of your first stops. 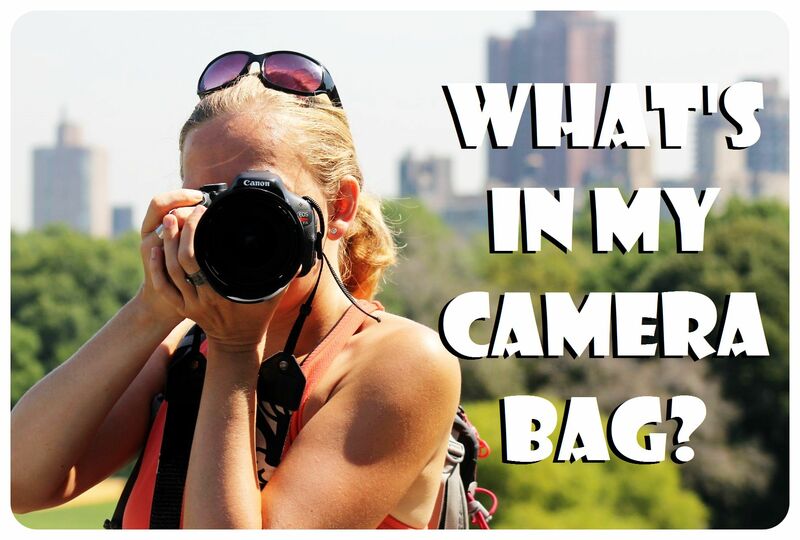 You can handle the sometimes shocking items, the dirty floors, the crazy hustle and bustle that makes you wonder how in the world the locals don’t find this to be overwhelming. In general, visiting the central market of a city, even for a seasoned traveler, has all your senses on high alert and not necessarily always in a good way. What makes the San Pedro Market in Cusco so amazing is that this central market is clean, organized and aimed almost entirely at locals – which creates the ultimate tourist experience, too. We loved walking through the aisles of this massive open air market, strolling past the fruits and vegetables, red, yellow and blue corn, giant round breads, delicious chocolate and bars of 100% cocoa, plus more different kinds and colors of potatoes and tubers than we’ve ever seen and powders like Maca for sale that cost a fraction of what the health conscious in the US and Europe pay for the natural energy boost. Of course here at 3,300m / 10,800 ft, there is an endless supply of coca leaves, coca candy, coca flour – just about anything made of coca at all. There are rows of vendors selling fresh, cheap fruit juice but if you wander just a few rows away, you’ll hit the meat section which is not for the faint at heart. It’s not just the usual suspects like hanging cow cadavers that mess with our vegetarian minds, but also things like the baskets of cow snouts casually on display, which we can only assume means it is an everyday ingredient used by locals. There are corners that sell tourist trinkets, but honestly the main attraction for visitors is to experience the way local Cusqueños live – what they eat, how they shop, and no one bothers you to buy a thing. In fact, as long as you speak a little Spanish, the vendors will even answer a question or two for you about Peruvian foods you might not know (and there are quite a few!). It didn’t take long for us to fall in love with Peru! We crossed the border from Bolivia to Peru at Lake Titicaca. The first stop, Puno, was as gritty as we had been told, but the historic center was charming enough to spend a couple of days. We then rushed to Cuzco in order to make sure we’d be able to trek to Machu Picchu before the trails close for their annual maintenance work at the end of this month. 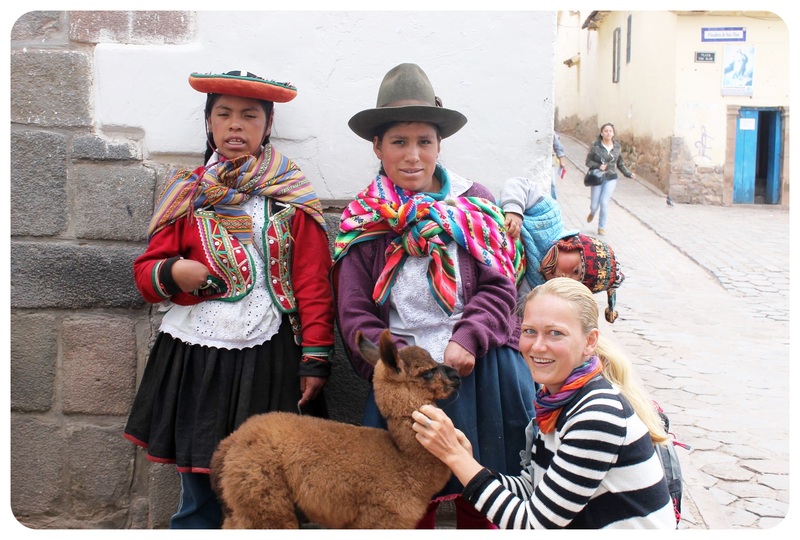 In Cuzco it was love at first sight! The Capital of the Inca Empire, the city was declared a UNESCO World Heritage Site in 1983 to preserve the unique mix of Inca culture, Spanish-colonial influences and remnants of the Killke, who populated the area prior to the Incas. 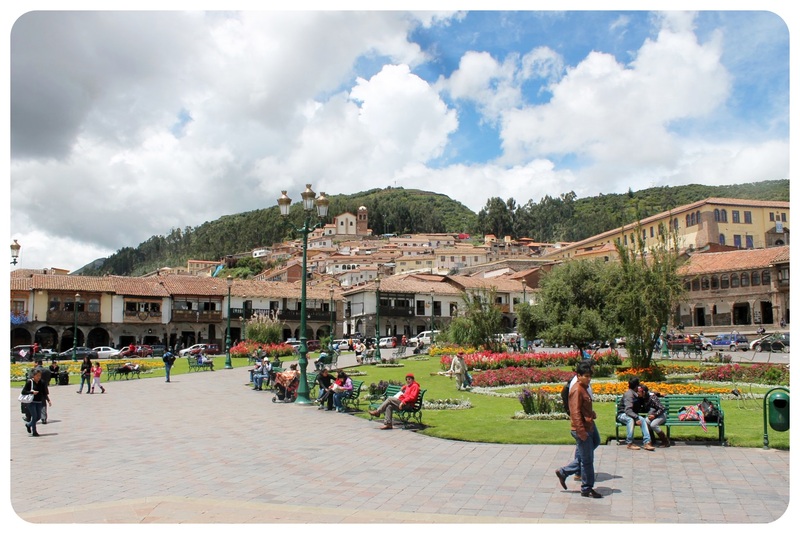 The city is a wonderland for history buffs, the incredible Andean mountains surrounding the city are a paradise for trekkers and the infrastructure here makes it comfortable for tourist from all walks of life. 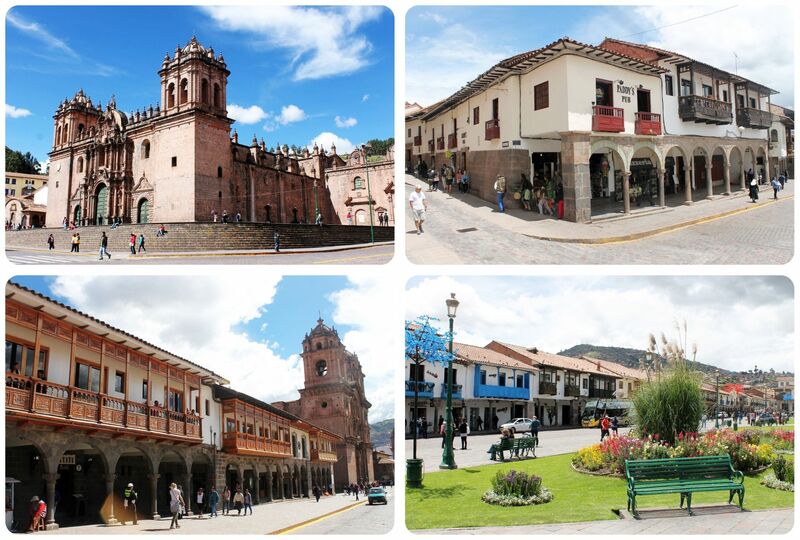 Cuzco itself is one of the prettiest cities we’ve seen in South America so far: the magnificent Plaza De Armas, impressive churches and beautiful little plazas all over town. 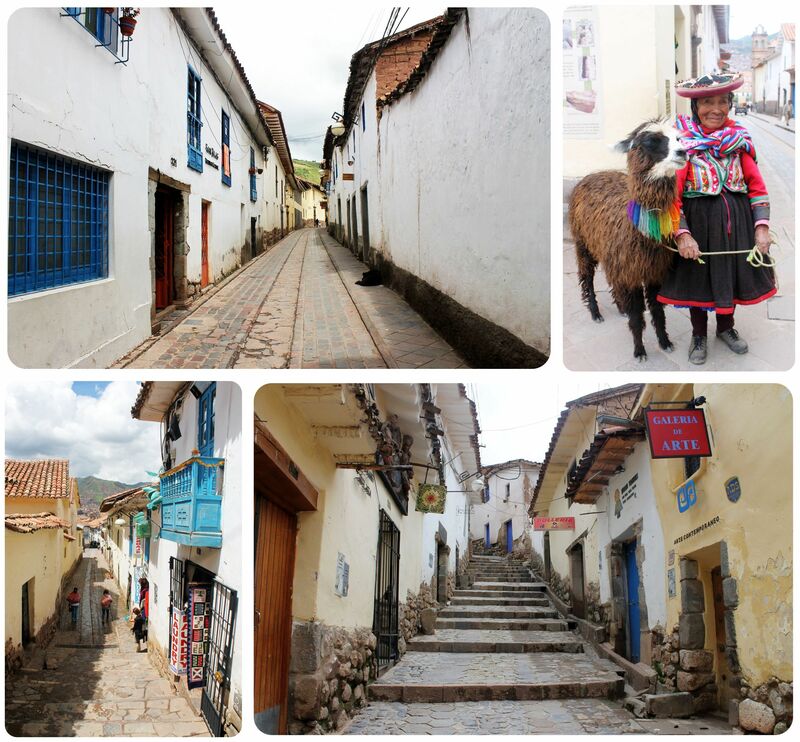 Every time we walk a new street, we are amazed by the architecture, the ornate wooden balconies or the massive rocks used by the Inca to construct their palaces and houses. Our favorite neighborhood is San Blas, which sits in a picturesque setting perched on a hillside in the northeastern part of town. The neighborhood is stacked up on narrow, steep streets with centuries’ old cobblestone streets. No two streets are alike. The colorful doors and ornate wooden balconies make each house unique, too. Climbing seemingly never ending series of steps can make you short of breath, especially at this altitude, but the higher you climb, the more you are rewarded with beautiful views of Cuzco below.